​and make you feel energised and radiant as much as it nourishes your body. It's tasty, naturally sweet & so satisfying. ​the steps in this recipe. Spoon Greek yoghurt into a serving bowl. Add banana & blueberries to the yoghurt. 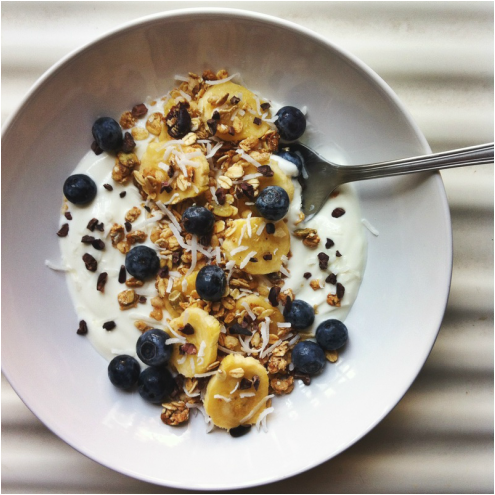 Sprinkle oats/muesli, coconut flakes & cacao nibs over Greek yoghurt & fruits.